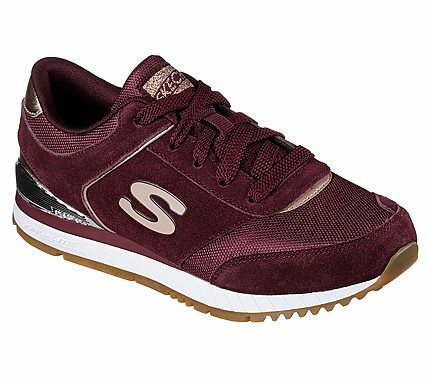 A classic jogging sneaker returns with even greater comfort in the SKECHERS Originals Sunlite - Revival shoe. Soft suede, mesh fabric and metallic synthetic upper in a lace up sporty casual jogger style sneaker with stitching and overlay accents. Air Cooled Memory Foam insole.